At its simplest form, the Facebook Pixel is a snippet of code that you add to your website that automatically tracks your website traffic and visitors to enable you to create Facebook ads and learn more about the people engaging with your content. The pixel allows you to run targeted ad campaigns, so before you begin your Facebook advertising strategy, it’s vital to have it installed on your site. Luckily it’s easy to get the code snippet or pixel installed on your site quickly so that you can get started running your targeted ads. Even if you don’t intend on engaging in Facebook advertising immediately upon launching your business or website, you should still sign up for your pixel and get it installed on your website. That way when you decide to begin your Facebook ad strategy, you’ll have a wealth of information about your past visitors for your ad targeting to help you to create successful ad campaigns. HOW DO I SET UP THE FACEBOOK PIXEL ON MY WEBSITE? Each ad account on Facebook gets one default pixel (in the form of a string of numbers that look something like: 569359183514631) that tracks all of the online traffic to your website. In addition, you have the option for additional event code snippets that can be added to specific website pages to track certain user actions on those pages. For the purposes of this article, we’ll be focusing on installing the default pixel on each of the three main website platforms we build our websites on at M|J Creative. Ads Manager setup for this, so click here if you need to do this first. Click on the menu in the top left hand corner, then select Pixels from the menu options. On the following page, click the green “Create a Pixel” button to get started. Add a name for your pixel (your business name is fine) and click Next. Grab the Pixel ID and copy it. You won’t need the full code snippet, just the ID itself. Now that you signed up for your pixel id, you’ll need to go install it on your site! Login to your Squarespace website, then navigate to your Marketing tab and click on “Facebook Pixels and Ads.” Here you’ll paste in the pixel ID and Squarespace will do the rest for you so that Facebook beings tracking your website traffic. There are actually numerous ways to add the pixel to your self-hosted Wordpress site and while installing the Facebook Pixel is a little more involved than the other platforms, don’t let that scare you as it isn’t a difficult process. We are going to go with the easiest option. Login to your Wordpress dashboard, then navigate to your plugins and click Add New. Search for the “Official Facebook Pixel” plugin, and install and activate it. Once activated, you can navigate to the plugin settings and paste your pixel ID. Much like Squarespace, Shopify makes installing the pixel a very easy process. Login to your Shopify website, then click on Online Store > Preferences. Scroll until you see the section for Facebook Pixel and paste your pixel ID into the dialogue box and save. Shopify will install the code on your site for you and Facebook will begin tracking your site traffic. 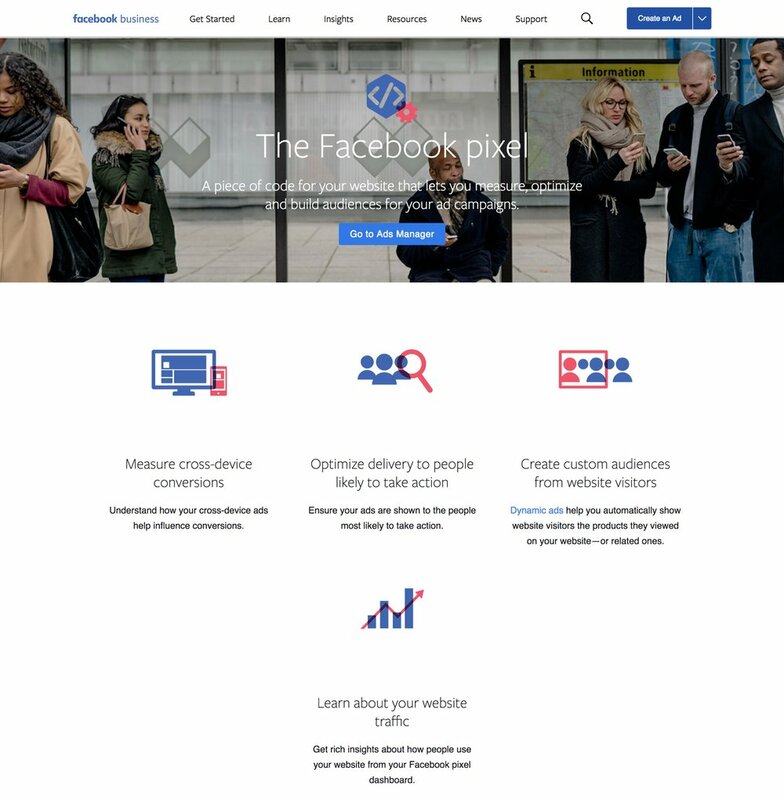 Are you using the Facebook pixel on your website? Tell us how it has helped your Facebook marketing strategy in the comments!